Last year, around this time, I was about 9 months pregnant and ready to pop. I was doing some serious nesting and decided I wanted to update my kitchen with additional storage. 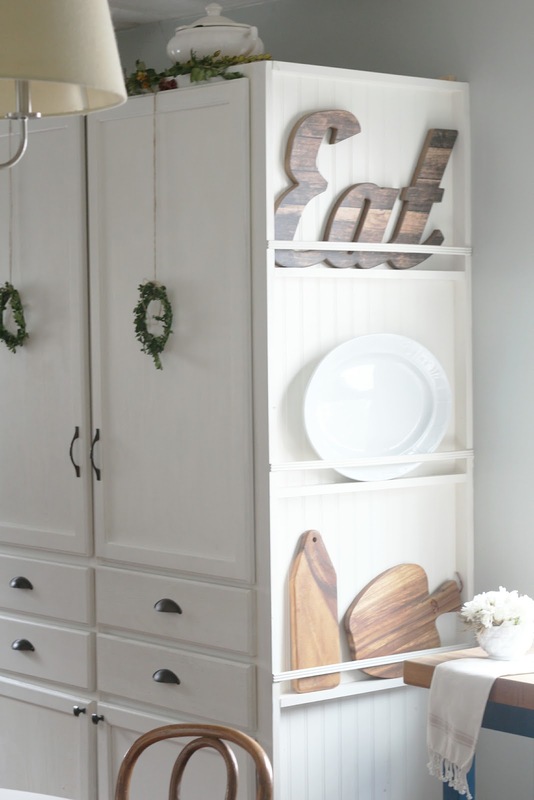 So today I thought I'd share with you, how I added storage in my kitchen that was inexpensive, pretty, and functional (and my inspiration for it all). For the record, this post contains affiliate links which means I wll be compensated a percentage, if you make a purchase using a link. 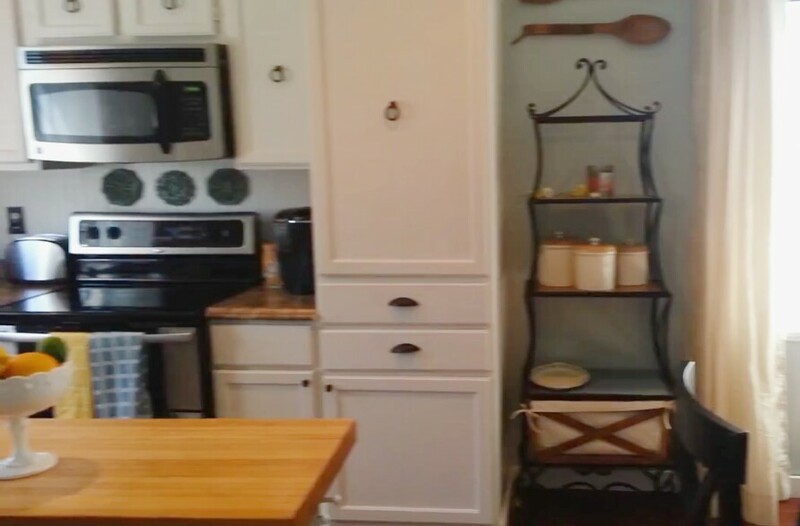 When we updated our kitchen after a flood back in 2012, we took out the old island/peninsula thing and added a "pantry" cabinet to our kitchen. The cabinet is an unfinished utility cabinet from Home Depot. As much as I LOVED the additional storage, I felt like I could use more. 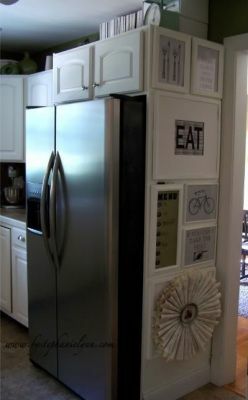 I imagined the space with one more pantry cabinet, placed side-by-side, almost like a piece of furniture. We had the perfect amount of space to do this, so I was easily able to talk my hubby into it. 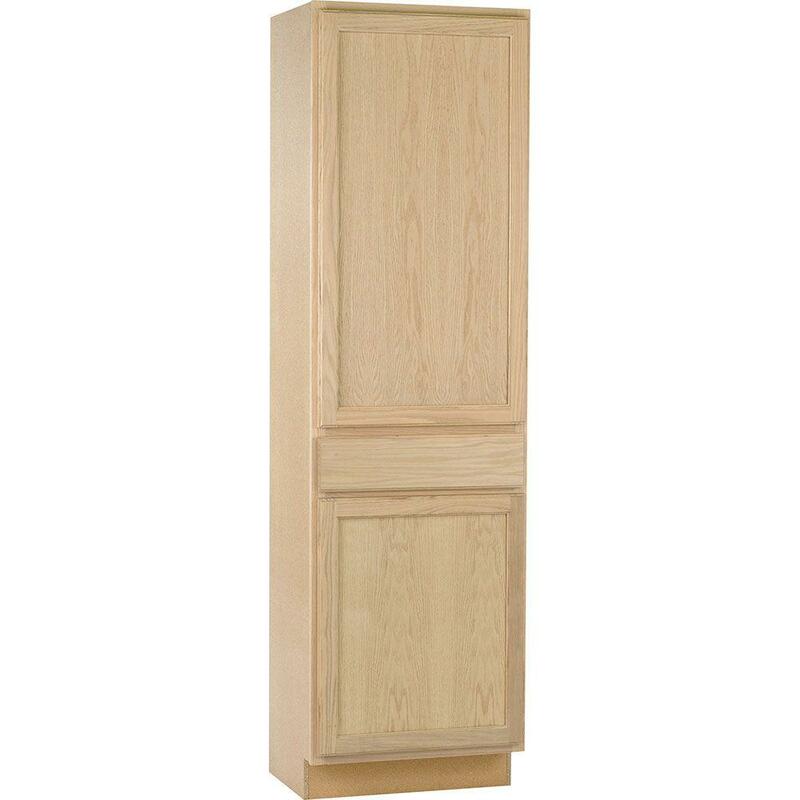 These utility cabinets are not sold in all stores, so it's good to look online for the nearest store that carries it. Ours was in a store 30 minutes away. When we got there, the only cabinet they had in stock, was stored high on one of their very top shelves. Because we had to wait for someone who knew how to work the lift, they gave us a discount off of the original price-SCORE!!!! We put the utility cabinet in place and lined the two of them up so they were flush (There was a perfectly good reason for swapping the cabinet doors at the time, I honestly just can't remember why). The pantry cabinets were not as deep as our base cabinets, in fact, they are only 18 inches deep, while the base cabinets are about 24". So we placed wood spacers and shims behind the cabinets to keep them in place. I later trimmed it out and painted it in my favorite Almond Cream paint by Behr to match the other cabinet. And the good news was, that I could use the same piece of bead board paneling ,on the side from the original cabinet, since they were of the same dimensions. After living with it for a while, I realized I wanted to utilize the side of the cabinet for something. 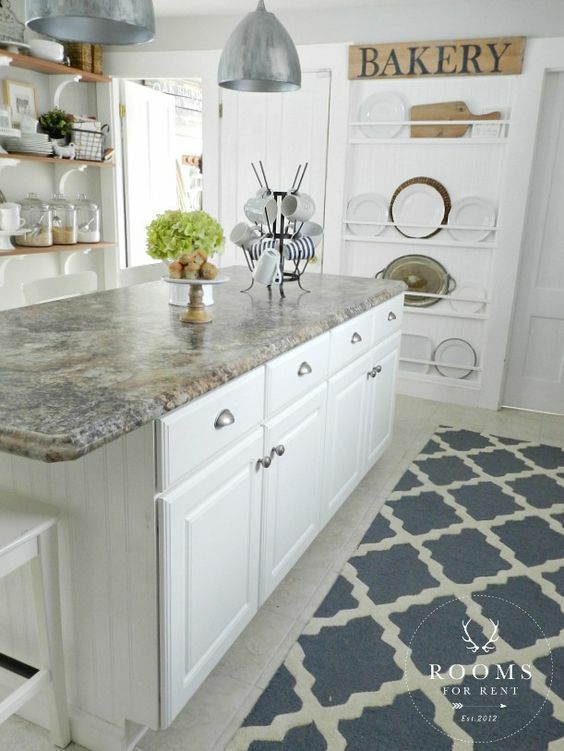 I thought of, using the blank space behind the cabinet to house my broom and mop - - -but then I'd have to build some type of door for the side and I didn't want to do that. I then thought a command center would be perfect in that spot - - - but, our home has a small open floor plan, I didn't want it to be visible from every angle of our home, so that was a no-go. I thought this was really cute, but it might stick out too much and I honestly don't have enough stuff to put in all of those jars! I thought about art work, a clock, large letters, etc . . . but I knew the space was capable of more. I knew it was exactly what I needed. Form and function! 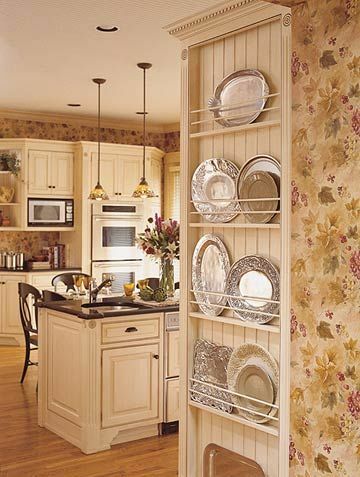 Click here to see how I added a plate rack to the side of the pantry cabinets. 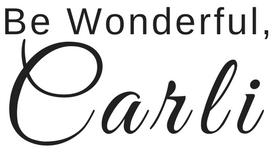 I love your kitchen, Carli!! 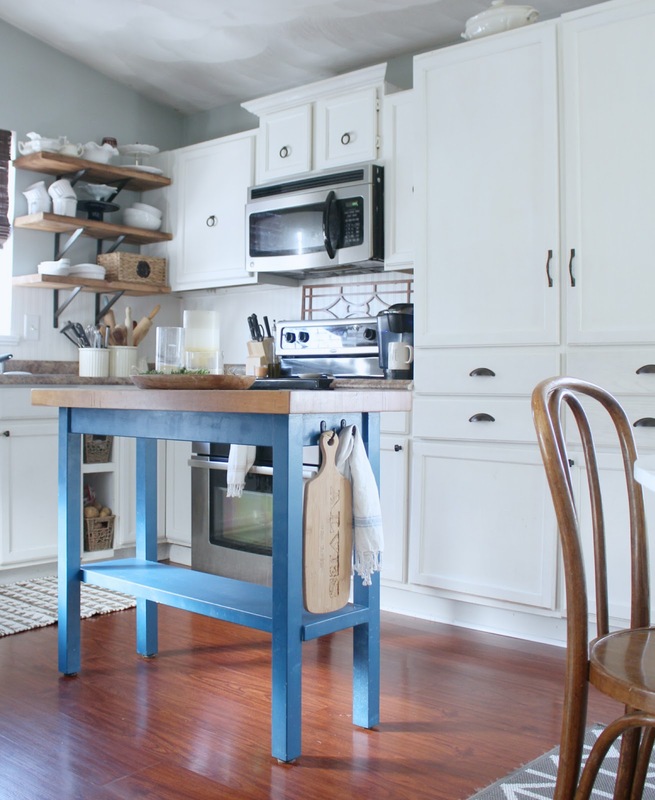 Your kitchen is so bright and inviting! 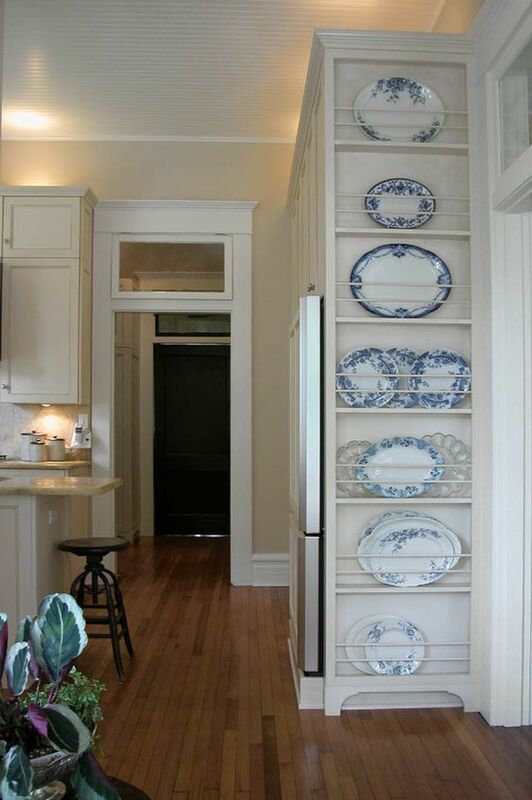 The extra storage unit and plate rack are so well done, that they look to have been there with the original cabinets. So nice!! Love it! 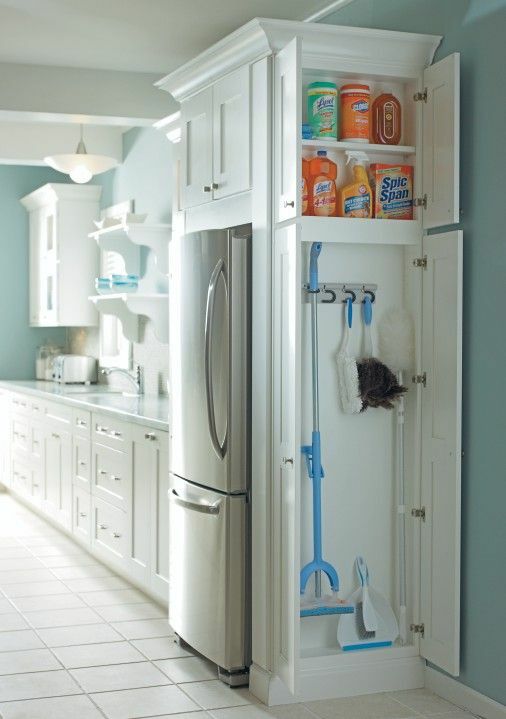 What a beautiful way to add more storage!